One of the most rewarding things about writing my blog is reading the replies and feedback that I have been receiving over the past couple of months from fellow Brentford fans. Some, thankfully, have enjoyed what I have been writing and even offered their own reminiscences of events long gone, others have been less forgiving and have taken me to task for some of my more off the wall comments and viewpoints. All is fair in love and war, and I am just happy and tickled pink that there really are some people out there who are actually reading and taking notice of the unfettered stream of consciousness spewing forth every day or so from my warped mind and memories. Out of the blue, a few days ago, I started receiving correspondence from Richard Poole, who, for those of you of a more recent vintage, was a Brentford player back in the early 1970s. Richard was a local youngster, who in 1972 was one of the first batch of apprentice professionals taken on by the club. 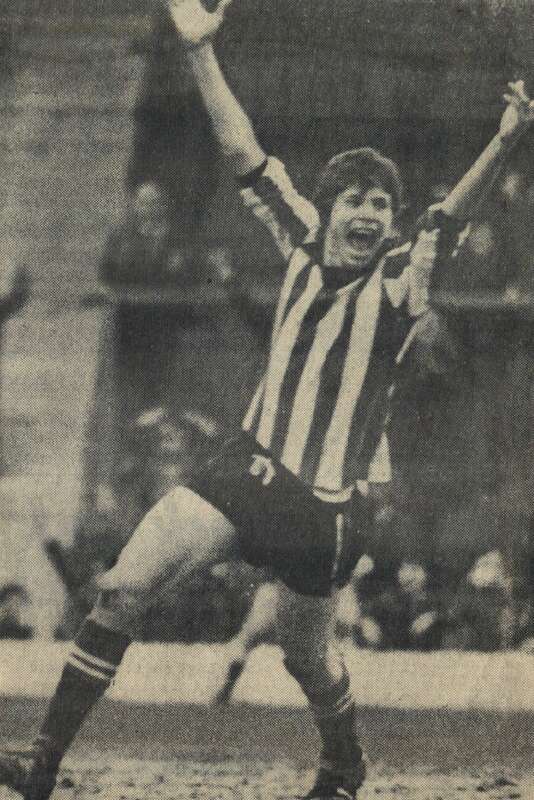 A tall and strong centre forward, he rose through the youth system like a blazing meteorite and made his Football League debut in February 1974 in a 2-1 victory against Lincoln City when at the tender age of sixteen years and five months, he became the second youngest player in the club’s history after Alan Hawley. He had a decent run in the side and was full of energy and youthful enthusiasm. The highlight of his time at Griffin Park was scoring a beautifully taken goal against Bradford City from the edge of the penalty area, a goal which extinguished any lingering fears of re-election. 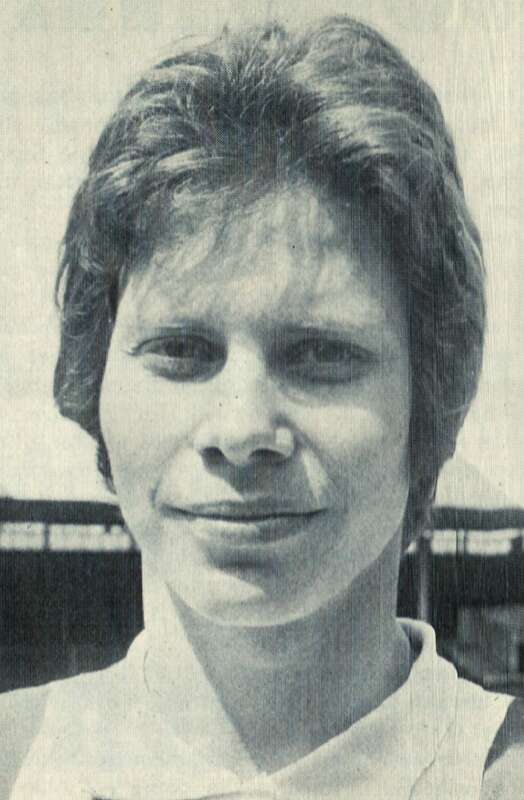 Richard signed professional terms with the club and made twenty-one appearances in all but was surprisingly released in 1976 and moved to Watford where he played a handful of times before drifting out of the game. I asked him to put some flesh on the bones about his spell at the club and why his career seemed to fizzle out so quickly after such a wonderful start, and he has been very open and forthcoming and was keen to share his memories and experiences with fellow Bees fans. What great memories I have of Brentford, like the day when I joined the club and was right next to stars like John O’Mara, also when I made my first team debut when I was only a sixteen year old apprentice. As Brentford was my boyhood club you can imagine my excitement when I joined them, as well as my disappointment when John Docherty let me go, as I made my first team debut with him and I think one of the reasons I was released, well, that’s another subject! How did Richard come to join Brentford? I lived in Heston at 80 Northfields Road and went to Berkeley School then to Spring Grove Central. At twelve years of age I signed schoolboy forms for Brentford and played in the FA Youth Cup First Round for Southall Under 18s when i was only fourteen. I got a rollicking for that from Mr Blunstone but things really started happening for me when I played for Hounslow Schools Under 15s with some great friends like Kevin Harding and Neil Oliver. We all signed as apprentice professionals at the same time and Kevin and I then played for Hounslow Schools Under 18 team which got through to a cup final against Hillingdon at Brentford’s ground. So, warming up before the game Kevin and I were told that we could not play as we were too young, even though we had played in all of the qualifying games. Hillingdon had complained so we were very disappointed . We learned why after the game as a certain Under 15 player of theirs could not play as he was injured, so this was their retribution. The Hillingdon player was Butch (Crab) Wilkins, yes the future Chelsea and England player. That stuck in our throat for a long time. This was the age of David Bowie and Nazareth etc but as budding apprentices well, we had a choice to make! There are so many things I could tell you. My grandfather played for Sheffield United and my father played cricket for England Youth before he decided to enlist in the Royal Belgian navy in World War 2 as he was too young and had been rejected by the British navy. I think I could do a book just about being a fifteen year old apprentice. In 1972/73 with Brentford in the Third Division, I do remember the home friendly when Mr. Blunstone put all the squad on the team sheet for the friendly with Portsmouth, who had in their ranks one of my heroes, Ron Davies, but please do not tell him my real hero was Big John O’Mara! I will always remember him when he came back to play in Alan Hawley’s Testimonial. I played the ball to him for a shot at goal and afterwards he said “Richard, next time shoot yourself, always try to score” but sadly I always made more for others than myself. I did smile a lot at your comments regarding Paul Priddy’s penalty saves at Watford . Did you know I played in that game for Watford and one of those penalties was awarded for a foul on me by Paul Bence and those saves finished Watford’s promotion dreams. But I must say that though I was released by them that year, what a great youngster they had in our reserve team in Luther Blissett who was a great pal. I also have fond memories of Keith Mercer and lots of others and I do remember just before a Fourth Division game up North our President Elton John came out in “Rolling Stone” magazine, and I always wonder why he was banned from our dressing room! Well after leaving Watford at the end of the season I signed for the Sporting Club of Toulon in the French Second Division in 1977/78 where I played with Jean Tigana but in April 1978 I suffered a bad knee ligament injury which finished my career when I was still only twenty years of age. There will be lots more memories from Richard tomorrow when he gives his opinion about his team mates, managers and other personalities behind the scenes at Griffin Park. I hope you are enjoying his recollections as much as I did! I remember going to a pre-season Open Day event, at Feltham I think, in about 1972. Richard Poole and Kevin Harding were there signing autographs with all the players – astonishing to think they would only have been about 15 at the time. Also, I’ve got the programme for the home game against Lincoln in which Richard Poole made his first-team debut, as referred to above. The programme is signed by the young man himself!! Glad you enjoyed it. Tomorrow’s will hopefully be just as good too.